Albany is nestled on the banks of the Hudson River, about 150 miles north of New York City. It is the capital of New York and the seat of Albany County. The city has a population of roughly 98,000 and has shown steady growth since 2010. Troy, Schenectady, and Saratoga are neighboring communities that combined to make up the Capital District. The median home price in Albany, NY is $172,800. The Capital City is a lively one – museums, entertainment venues and cultural activities are just a walk away. The Times Union Center is a multi-purpose entertainment venue with the capacity of holding up to 17,500 patrons. It’s known as a standard concert stop for performers in the Northeast, and has hosted everyone from Billy Joel to Justin Timberlake, Celine Dion to the Rolling Stones. The Times Union Center is also home to the Albany Devils, the AHL hockey club of the NHL New Jersey Devils and Siena Saints Division I college basketball. 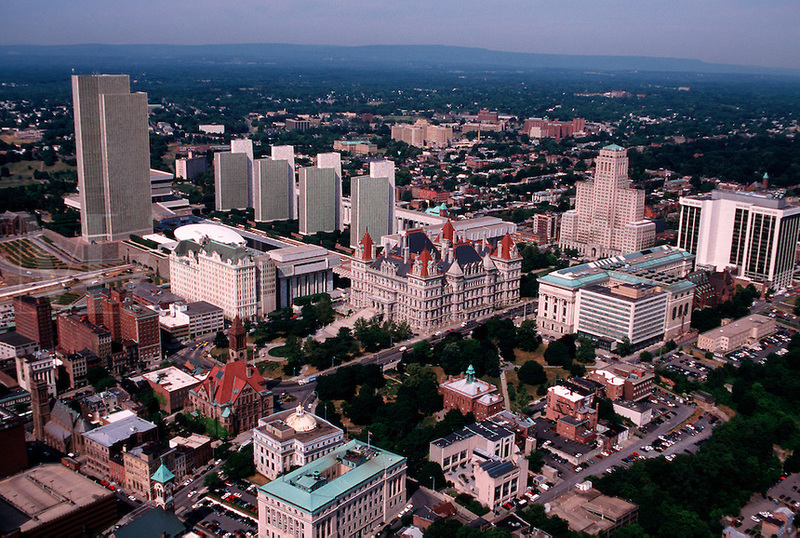 Albany, NY is a vibrant city, which balances cultural attractions with its historic roots. Whether looking for a new place to permanently call home or just passing through, Albany has something to fit every lifestyle and family. Albany, NY is part of the Capital Region Chamber of Commerce. Lively, vibrant, cultural, student-friendly, good nightlife, plenty of bars and restaurants, lots of live music. Albany, NY offers a variety of restaurants click on the link above to view their rankings on Yelp! City School District of Albany contains 18 public schools and 10 charter schools. Albany High School was listed in the top 1000 high schools in the nation in 2010 by a Newsweek/Washington Post report. There are also a number of private schools in the city. Albany, NY is home to several colleges and universities. A residential neighborhood with quiet streets. Many sutdents from The College of Saint Rose and University of Albany live in this neighboorhood as well as homeowners. The Sage Colleges Albany campus and St Peter’s Hospital are both located within this neighborhood. This is the most desirable neighborhood in Albany. Bordered by the southern end of Lark Street, Park South is located next to Washington Park. This neighborhood provides easy access to Downtown Albany. This neighborhood has the largest nature preserve in the city as well as parks and an ice skating rink. It stretches along Central Avenue providing easy access to many Albany areas. To see the Albany, NY demographics click this link: Albany, NY Demographics.